Dean Elaine P. Scott, PhD, University of Washington Bothell, has been selected as the recipient of the 2016 Academic Engineer of the Year Award in recognition of her exceptional career as an innovative leader in engineering education and a pioneer in interdisciplinary and collaborative STEM education. She currently serves as the Dean of the School of Science, Technology, Engineering, and Mathematics at the University of Washington Bothell. She holds degrees in both agricultural and mechanical engineering. Her research focuses on the characterization of heat transfer in complex materials with an emphasis on biological materials, including food products and biomedical applications. She has significantly advanced the state of engineering through application of parameter estimation, inverse problem solving, and optimization in food engineering, biomedical engineering, aerospace engineering, and electrical engineering. Along with colleagues across the globe, she developed a noninvasive probe to measure blood perfusion. An inspiring and tireless leader, she has a distinguished record of achievements in improving the quality of interdisciplinary engineering education. As the founding Dean of the University of Washington Bothell School of STEM, she oversaw the complex marriage and development of diverse STEM disciplines into one school, where students learn in a rich cross-disciplinary environment and participate in projects with faculty and industry partners with real-world impacts. Under her leadership, the school has grown from five degree programs to 15 degree programs during the past three years. 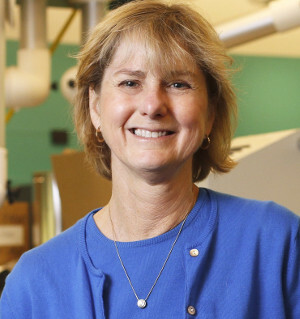 Prior to joining the University of Washington, she served as Director of Engineering Programs at Seattle Pacific University and as Director of the Center for Biomedical Engineering at Virginia Tech. Throughout her career, she has been a tireless advocate in fostering an inclusive culture in engineering. She is very active in numerous outreach programs to encourage more women and students from underserved communities to consider STEM careers.